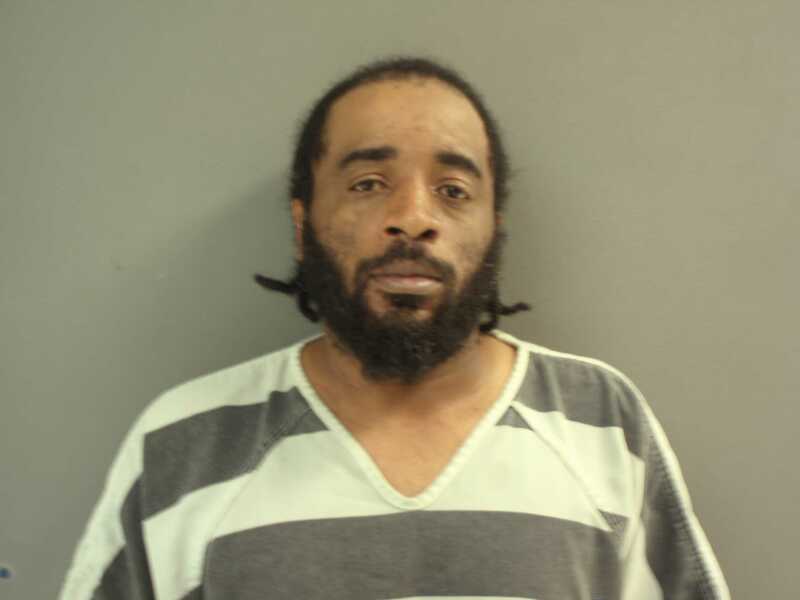 CROCKETT – A 40-year-old Crockett resident attempted to outrun the long arm of the law on Wednesday, May 31 and quickly learned he made a mistake. Tyrone Donnie Dightman was arrested late Wednesday afternoon and was charged with evading arrest and violation of a protective order. In addition, Dightman was also served with a warrant for his arrest on assault charges. The events leading up to Dightman’s apprehension began after deputies from the Houston County Sheriff’s Office (HCSO) were dispatched to the KB Express convenience store to meet with a female subject who alleged Dightman had assaulted her. When they arrived, they discovered the female victim was not present at the location. While on the phone with the HCSO dispatch, however, the victim reported Dightman was at an address in the 300 block of Meadowview Lane. An affidavit of probable cause reported the responding HCSO deputies were aware Dightman had an active warrant for his arrest on assault charges as well as an active protective order to stay away from the victim. Because of the warrant, the deputies traveled to the Meadowview Lane address provided to the HCSO dispatcher by the victim. As the deputies neared the location, they “… observed defendant (Dightman) walking at a very fast paced speed from his car into an open garage,” the affidavit reported. While the law enforcement officials were speaking with those at the residence, they “… observed the defendant in the back yard, about 20 to 30 yards away, jumping over a barbed wire fence. Deputies immediately ran towards the defendant while yelling for him to stop, but he failed to do so. The deputies crossed the first fence as he was crossing a second fence while continuing to run away,” the probable cause document stated. Dightman fled to a heavily wooded area, the affidavit reported, and disappeared. The HCSO deputies, along with assistance from the Crockett Police Department, set up a large perimeter around the area he was last seen. A short time later, Dightman was apprehended while laying down in field and placed under arrest. He was then transported to the Houston County Jail and was booked into custody on the assault warrant, evading arrest and violating a protective order. Dightman was held at the Houston County Jail on a total bond of $12,000, which was posted Thursday, June 1.